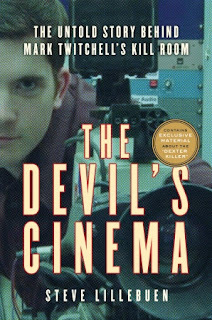 Description: Reality and fantasy collide with shocking results in this riveting account of the notorious case of Mark Twitchell - and the police investigation into one of the most bizarre murders in recent memory. - Did Twitchell, in a horrific example of life imitating art, act out the grisly premise of his own script? - Obsessed with Dexter, the popular TV show and book series about a fictional vigilante serial killer, Twitchell assumed Dexter Morgan's profile on Facebook. But how far did he intend to take his fascination with Dexter? - Is the shocking document "S.K. Confessions" a graphic work of fiction that, as Twitchell claims, he wrote to promote his film? Or is it a diary he kept of his transformation into a killer, and proof that the police stopped a prolific serial killer at the very beginning? Veteran journalist Steve Lillebuen provides a gripping investigative account of the nesting doll intricacies of the case, plunging us into the world of pop culture fanaticism and into the mind of a self-professed psychopath. Drawing on extensive interviews, Lillebuen illuminates what can happen when some of our culture's darkest obsessions are pushed to extremes. Might be moving to Alberta and the crime statistics are very scary to me - definitely not moving to Deadmonton now! "Edmonton is not the end of the world -it's just easier to see it from there; Once quipped Ralph Klein, a colourful and well known politician. Many have adopted a similar self-deprecating attitude, wielding such ethos like an invaluable tool while residing in the northernmost major city of North America." "Antsey had been waiting for lab results for three days, trying to be patient, but he was frustrated. Detectives started rolling their eyes when told the lab results for the new items taken from Johnny's condo still weren't back. They would joke that lab techs from television crime shows like CSI could get DNA results in an hour. In real life, there were city cases that had been stalled on DNA analysis for weeks, sometimes months. "The burn lasted only a few minutes and died down as the fuel disappeared. Twitchell might have been smarter to mix some oil with the gasoline to make it burn longer, but he was a city boy and some things can't be learned on the internet."